Andrews University, a distinctive Seventh-day Adventist Christian institution, transforms its students by educating them to seek knowledge and affirm faith in order to change the world. Andrews University was established over a century ago, in 1874, as Battle Creek College in Battle Creek, Michigan—a collegiate program that offered literature, languages, science and mathematics, training for teachers, and theology. Its founders, the visionaries of the young Seventh-day Adventist denomination, believed they should use every avenue to spread the gospel and serve the world, including higher education. On the brink of a new century, seeking room for expansion and a fresh start, the school moved in 1901 to a beautiful site near the banks of the St. Joseph River in Berrien Springs and was renamed Emmanuel Missionary College. From woods and farmland on which faculty and students built three wooden frame buildings to hold their new school, the campus has grown to a property of 1,600 acres and a complex of academic buildings, residence halls and apartments, and service buildings. The vision blossomed still further when, in 1959, the Seventh-day Adventist Theological Seminary and a school of graduate studies, together known as Potomac University and located in Washington, D.C., were moved to the campus of Emmanuel Missionary College. The following year the three entities united under one charter bearing the name Andrews University—with an integrated board of trustees, administration and faculty. The name honors John Nevins Andrews (1829–83), pioneer Adventist theologian and intellectual and the denomination’s first official missionary to serve outside North America. In 1974, the undergraduate division of Andrews was organized into two colleges—the College of Arts and Sciences and the College of Technology. The School of Business Administration, which evolved from the Department of Business Administration, was established in 1980. In a similar move, the Department of Education became the School of Education in 1983. The present organizational structure of the School of Graduate Studies was adopted in 1987. In 1993, the Department of Architecture became the Division of Architecture, and in 2012 became a school. It is now the School of Architecture & Interior Design. In 2011, the School of Distance Education was formed to support distance education and educational programs offered at locations across North America and the world. Because of the many international partnerships, the school has been renamed as the School of Distance Education & International Partnerships. Also in 2012, five departments housed in the College of Arts and Sciences together became the School of Health Professions. All of the colleges and schools offer both undergraduate and graduate degrees, except for the Seventh-day Adventist Theological Seminary, which maintains graduate and professional programs only. The only Seventh-day Adventist doctoral research university, Andrews University is also a comprehensive institution of higher learning integrating an exemplary liberal arts and sciences core with six prestigious professional schools and a number of excellent graduate programs. Rooted in a tradition of visionaries who saw what was possible and enriched by an international and diverse faculty and student body, Andrews University now offers a wealth of choices in degree and certificate programs to prepare its graduates for life in a complex, fast-changing world. The goal of this distinguished institution, however, remains the same—to provide excellent academic programs in an environment of faith and generous service to God and humankind. The high quality of the educational experience at Andrews University is evidenced by its listing in U.S. News and World Report’s annual report on “Best Colleges.” Andrews University is also listed among the “30 Great Small Colleges for STEM Degrees.” A strong undergraduate honors program attracts such outstanding students as National Merit Finalists, secondary-school valedictorians and others with outstanding secondary-school achievement. Andrews provides a carefully designed advising program to help students make sound career choices. Undecided students can fulfill General Education requirements and learn practical skills through a variety of courses while they explore career options. Students also develop skills for post-graduation employment. They develop those skills through practice teaching, career practica, cooperative work-study programs with businesses and corporations, or clinical rotations in health-care settings. Each year, students from 80–100 different countries enroll at Andrews University. More than 20% of the students come from other countries. This places the university among the national universities in U.S. News and World Report’s annual report with most international students. One experiences the reality of a global village while attending college. International students who wish to immerse themselves fully in American culture may enroll in the Action America program on the Andrews campus. International education opportunities include study abroad, study tours and short-term service learning opportunities abroad. Andrews International Center for Educational Research (AICER) is the research and international service center for the School of Education. Its mission is to promote and disseminate faculty research on regional and global education, with a special focus on Adventist education. AICER seeks to promote research which develops the empirical knowledge-base and best-practices related to education through the development of a network of international researchers that provide technical research and evaluation services to international educational organizations. AICER’s researchers focus their agendas on learning, teaching, spiritual and ethical development, educational leadership, and evaluations of programs. AICER promotes research in elementary, secondary and tertiary educational organizations as well as community groups engaged in educational services. The Architecture Resource Center (ARC), a branch of the James White Library, provides the School of Architecture with a premier collection of resources for the study and research of architecture. The collection is of a broad scope with an academic focus in architecture and design. The ARC currently holds a collection of over 28,500 books and 106 periodical titles. The ARC stays current through its acquisitions by continually updating the collection with new titles in: books, monographs, periodicals, reference books, CDs and videos. It also supports other campus disciplines such as facility planning, educational and church architecture, environmental psychology, and behavioral science. The ARC is the official repository of a special and growing collection of materials on environmental design research. This collection is made available as a result of our affiliation with the international group known as the Environmental Design Research Association (EDRA). The purpose of this collection is to advance the art and science of environmental design, to improve understanding of the interrelationships between people and the built environment and to create environments responsive to human needs. The interdisciplinary collection holds books, trade journals, EDRA proceedings, documents, technical papers, and multimedia materials supporting research in the discipline of environment and behavior. The collection has been developed over the past 30 years and continues to expand, existing as the most comprehensive collection in the world. The ARC is fortunate to have two rare book collections. One was donated by Ronald Senseman, FAIA, an architect who practiced in his own firm for over 30 years in the Washington, D.C. area. This exceptional collection includes classic rare books and photographs of architecture dating from the 19th century to the present. Vernon Watson, a Chicago Prairie Style Architect, donated his valuable and rare book collection to the ARC. Mr. Watson designed Griggs Hall, which was the original campus library, as well as several Prairie Style homes in Berrien County. In addition the ARC is now the official repository for the EDRA archive collection. This means professors, scholars and researchers, if they choose, will donate their private and personal collections to the collected works in the ARC. The Center for College Faith, which is open to all members of the Andrews University faculty, seeks to help faculty better understand and foster the faith development of college undergraduates. The stated mission of the Center is twofold. Specifically it acquires and disseminates knowledge about how college students develop in their Christian beliefs, values, and lifelong commitment to God, especially in relation to direct academic experience; and promotes the growth of a distinctly Christian undergraduate “culture of learning” informed by careful scholarship on the Andrews University campus. The Center for Adventist Research (CAR) contains historical materials and resources on Seventh-day Adventist history and Ellen G. White, a key founder of the Seventh-day Adventist denomination. Comprised of the Adventist Heritage Center, the Ellen G. White Estate Branch Office, and AU Archives, the Center holds the largest collection of research materials on Seventh-day Adventism in the world. The CAR was formed in the fall of 2003 to better serve the campus community as well as the world community of Seventh-day Adventists by providing research support services as well as a significant outreach component. The Center and the Seminary Library cooperate to support theological education. Located within the Center for Adventist Research, the Adventist Heritage Center contains material on the history and development of the Millerite Movement and the Seventh-day Adventist Church since the 1840s to the present. Among the materials preserved at the Center are over 51,000 books and pamphlets, 24,000 periodical volumes, 12,500 microforms, 12,000 sound recordings and 3,000 video tapes. A sizeable number of the periodicals are non-English and represent the finest collection of its kind in the world including many one-of-a-kind titles. The Center holds nearly 300 collections (1,200 linear feet) of personal papers of notable church figures such as pioneers, administrators, teachers, ministers and missionaries. These collections provide a wide range of primary source documents. The center’s archives contain 30,000 photographs of denominational and campus interest, an obituary file of nearly 200,000 names, and the records of early Adventist congregations. The SDA Periodical Index is edited at the Center. Special collections of the Heritage Center include the Advent Source and the Conditional Immortality Source Collections which document the origins of Seventh-day Adventists, the development of prophetic interpretation and the history of the doctrine of conditional immortality. The George B. Suhrie Bible Collection features an extensive collection of Bibles. Rare materials include books dating as early as the 15th century and several original editions of Martin Luther and other Reformers’ pamphlets. In 2005, the Review and Herald Publishing Association donated their rare book library (approximately 2,500 volumes) to the Center. The Voice of Prophecy and Faith for Today historical archives also are located at the Center. Located within the Center for Adventist Research, the Ellen G. White Estate Branch Office contains a complete set of the letters and manuscripts of Ellen G. White (1827–1915). It also has copies of her books and articles, and thousands of pages of other documents related to the history and development of the Adventist Church. The Branch Office houses numerous resources for students interested in research. The most important of these are (1) the Letter and Manuscript File of 60,000 pages with topical index; (2) the Ellen G. White published writings on compact disc (CD-ROM), making possible full-text computer searches of Ellen White’s writings; (3) a Biographical Index covering the span of Ellen White’s life and documenting her travels and activities; (4) 1,600 Manuscript Releases (with indexes); (5) an extensive Document File covering many aspects of the writings of Ellen White and of the history of the Seventh-day Adventist Church; and (6) a Question and Answer File with index. The Department of Digital Learning and Instructional Technology (DLiT) provides instructional technology leadership, support and resources to the faculty, staff, and students of Andrews University. DLiT serves main campus, online campus, and off campus programs. DLiT also oversees the operations of the Consortium of Adventist Colleges and Universities. DLiT provides technology support for enterprise level instructional technology tools such as LearningHub, the campus Moodle learning management system; student response systems (clickers); Panopto, our video streaming and recording service; and Zoom, our webinar and videoconferencing software. The Department of Digital Learning and Instructional Technology provides coordination and review for online program and course development, as well as technical support, instructional design advice and training, and materials design and conversion for course development for main campus, online campus, and off campus courses. For more information, visit DLiT in the School of Distance Education . The Center for Statistical Services provides help with all aspects of empirical research. Services include: 1) research design, 2) development of questionnaires and measurement instruments, 3) data entry, 4) statistical analysis and 5) interpretation and reporting of results. The Center for Teaching and Learning Excellence advances the ongoing professional growth of Andrews University faculty members related to their primary campus duty—teaching. By helping faculty members focus on student learning through various lenses—scholarship of teaching and learning, faith-learning integration, diversity, assessment and service, among others—the Center for Teaching and Learning Excellence promotes pedagogies of engagement that enrich the learning environment and lead to transformational teaching. The Center of Continuing Education for Ministry (CCEM), housed in the InMinistry Center, primarily serves ministers in the North American Division. CCEM provides continuing education for ministry employees of the church. It identifies, develops, and promotes continuing education courses and events and issues CEU certificates. More info: https://www.andrews.edu/sem/inministry/ or inministry@andrews.edu. The Greek Manuscript Research Center (GMRC) is part of the Department of New Testament of the Seventh-day Adventist Theological Seminary. Its primary goal is to help develop a more complete understanding and appreciation of Christianity’s primary documents—the original, handwritten Greek manuscripts of the New Testament copied over a 1,200-year period. The GMRC is a participant in the International Greek New Testament Project, an ongoing venture of American and European scholars seeking to create an exhaustive multi-volume reference tool that documents every variant in all known, surviving Greek manuscripts of the New Testament. The GMRC holds one of the largest collections of microfilmed Greek manuscripts in North America. An archaeological museum named for its founder and first curator, Siegfried H. Horn (1908-1993), the Horn Archaeological Museum houses over 8,500 ancient Near-Eastern artifacts including coins, pottery, sculptures, tools, weapons, figurines, jewelry, seals and glass vessels. Nearly half of these objects came from university-sponsored archaeological excavations at Tel Gezer, Israel; and Tall Hisban, Tall al-Umayri and Tall Jalul, Jordan. The museum building, which is shared with the Institute of Archaeology (see Institute of Archaeology), contains offices, work rooms, the Siegfried Horn Archaeological Library, and the collection display area. Eleven oil-painted murals by Nathan Greene help visitors understand the cultures of Bible times. A special viewing room contains the Andrews University Cuneiform Texts (formerly the Hartford Cuneiform Tablet Collection). This collection has 3,000 ancient clay tablets dating from the Sumerian period to Neo-Babylonian times. The museum sponsors a regular lecture series, occasional field trips and a quarterly subscription newsletter. A ministry of the North American Division, the InMinistry Center specializes in providing off-campus seminary education. The Center facilitates masters-level learning events at most NAD unions for the MA in Pastoral Ministry degree, and the first part of the Master of Divinity. It also houses the Center of Continuing Education for Ministry For more info: https://www.andrews.edu/sem/inministry/ or inministry@andrews.edu. The Institute for Prevention of Addictions (IPA) conducts research focused on the extent and causes of the use and abuse of alcohol and drugs as well as other addictions and risk behaviors. Based on this research it fosters prevention education programs and policies designed to reduce youth risk behaviors. The IPA provides specialized resource services and consultation to Church, government and private agencies on policy and program initiatives designed to prevent youth risk behavior. The IPA is supported by Andrews University and General Conference Presidential, as well as projects sponsored by assorted foundations, governmental and private agencies. The IPA is affiliated with the Department of Health Ministries of the General Conference of the Seventh-day Adventist Church and the International Commission for the Prevention of Alcoholism & Drug Dependency (ICPA). It works through program centers for prevention, policy, education, and research and evaluation. The Institute associates with organizations whose goals harmonize with its philosophy and objectives. The Andrews University Institute of Archaeology coordinates the archaeological programs and activities of the university. It fosters archaeological research, publication, and education at Andrews University, the communities of Michiana, and all entities of the Seventh-day Adventist Church. The institute 1) offers courses through the seminary which directly or significantly relate to the study of archaeology, 2) sponsors regular visits by distinguished archaeologists for the purpose of lecturing and consulting, 3) organizes public tours, 4) presents archaeological programs for churches and schools, 5) provides opportunity for field and laboratory training through its excavations and surveys in the Middle East and Michiana and the subsequent analysis of these activities, 6) supports the work of the Horn Archaeological Museum in collecting and interpreting artifacts and 7) publishes results of excavations and research in annuals, monographs and occasional papers. The Institute of Church Ministry (ICM), an entity of the Seventh-day Adventist Theological Seminary, shares the expertise and resources of Andrews University with the Seventh-day Adventist Church in North America, thus aiding denominational leaders in the accomplishment of its goals. The ICM serves as a North American Division Strategic Resource Center but also works for the General Conference, local conferences, local churches and Adventist journals. ICM also represents the North American Division in the Cooperative Congregational Studies Partnership (CCSP) of various faith groups under the direction of the Hartford Institute for Religion Studies. The work of ICM springs from the belief that the tools of social science can join with biblical and theological insights to advance the objectives of the Church. Its mission is conducted through field-based research concerning Adventist youth, lay-member involvement, congregational studies, training for ministry, church growth, church-giving patterns, Adventist women in leadership, Adventist Hispanics. and the attitudes of Adventist members on various issues. The Institute of Hispanic Ministry (IHM) of the Seventh-day Adventist Theological Seminary responds to the growing needs of Hispanic congregations in North America and beyond. The tasks of the IHM include providing graduate-level study for Hispanic pastors both on and off campus and assisting in various ways a continuing education for Hispanic ministers. It coordinates the Hispanic MA in Pastoral Ministry and supports Hispanic courses in the MDiv and DMin programs. The IHM also provides support systems for Hispanic ministry and churches that are in transition culturally and linguistically. It encourages research and the dissemination of its findings for the Seventh-day Adventist Church at large. Jews and Seventh-day Adventists share much of the same spiritual heritage and the same ideals of hope and lifestyle. Moreover, since the events of Auschwitz during World War II, Jewish-Christian issues have become a relevant part of theological concern. Therefore, the Institute of Jewish-Christian Studies organizes meetings with world renowned experts, provides a wide range of educational material and supplements the graduate programs of the Seminary with concentrations in Jewish-Christian studies. These include courses in Jewish History, rabbinics and languages. In all its work, the Institute seeks to train lay persons and ministers to foster constructive relations with Jews in their communities and to develop a global consciousness in all outreach and service. The Office of Institutional Effectiveness coordinates three major aspects of University support: assessment, accreditation, and institutional research. The office assists faculty in the development and measurement of student learning outcomes, and oversees assessment of outcomes related to the University’s mission as well as general education. 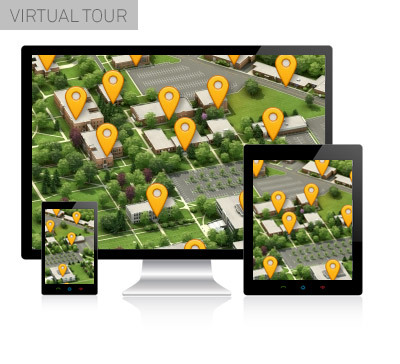 Assessment and institutional research data are used to enhance the quality of Andrews University’s programs and services, and to inform institutional planning. The Center for Intensive English Language Programs (CIEP) offers a courtesy placement test for incoming students to assess language proficiency. Classes in the English for Academic Purposes (EAP) Program are offered in grammar, reading & writing, listening & speaking, pronunciation, reading & discussion, conversation skills, public speaking skills, and academic writing for students whose first language is not English and who do not meet English proficiency requirements as listed in the Bulletin. The EAP is offered in Fall semester, Spring semester, and in a June/July Summer semester. A short-term intensive study session, combined with cultural and professional experiences and travel, is offered through the Andrews English Experience Program (formerly called Action America) in July. The CIEP also participates in the Language Bridge Program, providing the ESL classes that students take to meet the requirements of the Language Bridge Program. Tutorial services can be arranged for a fee on a case-by-case basis, and certain specialized English classes, such as a TOEFL preparation class, are offered for a fee and are open to the community. The purpose of the International Religious Liberty Institute is to foster the study of the principles of religious liberty and church-state relations upon sound methods of biblical, historical, legal and philosophical scholarship and to spread these principles through publications, lectureships, conferences, symposiums and the support of public advocacy. The James White Library and its two branches hold print books, bound periodical volumes and multimedia materials totaling more than 1.6 million items. The 100,000 square-foot main library provides study and research facilities and the library faculty provide reference and consultation and a library instruction program, a library liaison program for collection development, and interlibrary loan services. The strongest collections are in religion, education, architecture and Adventist publications and resources. The library’s automated catalog, JeWeL, can be accessed through the campus computer network as well as globally through the Internet. Through the library website 155 major electronic databases can be accessed through the Internet and from any of the 70 public computer stations located in the main library and its branches. Linking software provides links from the database search results to the library’s over 44,000 print and electronic periodical titles. Through the Michigan Library Consortium, the library provides access to MeLCat, a statewide union catalog, patron-initiated interlibrary loan service and book delivery system. Students, faculty and staff can access over 7.8 million unique books and other materials through MeLCat. The library also has access to the OCLC Online Computer Library Center for cataloging and interlibrary loan information based on data from 69,000 libraries in 112 countries representing over 470 languages and dialects. The Seminary Library, the Center for Adventist Research and the Mary Jane Mitchell Multimedia Center are housed in the main library. The Architecture Resource Center and the Music Materials Center are located in their respective departmental buildings on campus. The North American Division Evangelism Institute (NADEI) provides field-related training to seminarians that includes public evangelism, church growth, small groups, evangelistic preaching, lay ministry empowerment, Bible studies, and other outreach ministries. In addition, NADEI sponsors SEEDS (church planting), ChurchWorks, Ministry Coaching, Equipping University, and H.O.P.E. University seminars and conferences on behalf of church entities throughout the NAD for the continuing development of lay and full-time ministry. NADEI is operated by the North American Division as a separate entity, but it works with the seminary in administering and developing its program. Andrews University is affiliated with Walla Walla University (College Place, Wash.) in the operation of a marine biological field station located at Rosario Beach in Washington State’s Puget Sound. The station provides facilities for undergraduate and graduate study and research. The site is near a biological spectrum from sea bottom to Alpine tundra that provides unique opportunities for instruction and investigation. The Multimedia Center is the primary library location for microforms, audiovisual materials (cassettes, videotapes, etc. ), multimedia and pamphlets and serves the entire university. It also includes a textbook collection for the School of Education, houses small collections of children’s and young adult literature and a small computer lab for general patron use. A computer workstation is dedicated to serve disabled students. The Clear View magnifying reading machine and the Kurtzweil 3000 program are available. The Music Materials Center (MMC) is a branch library of the James White Library, located in Hamel Hall. Services and materials provided include: specialized music reference service, recordings and listening facilities, scores, reference materials to support the study of music, and assistance in the use of electronic materials. Primary areas of study supported include performance, music history and literature, music theory and composition, church music, music education and music studied as part of the general education curriculum. The MMC contains over 8,000 sound recordings, 12,000 musical scores, 2,000 reference books, and current issues of 30 print periodicals. The major portion of the James White Library’s collection of books, bound print periodicals and visual materials are housed in the main library. Additional materials for the study of music are found in the main library’s Information Services Department and in JWL’s electronic collection. The Mathematics Tutoring Center provides free assistance for students enrolled in University mathematics courses. Faculty and staff are also invited to visit the Center for help. The Center is equipped with eight computers that can be used for ALEKS and other web-based math assignments. An appointment is not necessary. For more information and the most current schedule, see the posted schedule or call the Department of Mathematics at 471-3423. The Museum of Natural History is a display used by students and visited by hundreds of people annually. The most complete skeleton of a woolly mammoth ever found in Michigan is displayed in the museum. Donors have contributed collections of over 30,000 marine shells, 1,600 birds, and 1,400 mammals as well as hundreds of butterflies and other insects. The museum also includes over 5,000 botanical specimens in the herbarium section. A collection of antique microscopes is also displayed. The Seminary Library is an integral part of the James White Library and the Theological Seminary. It provides collections and services that support the Seminary students and faculty. Seminary Library resources include approximately 150,000 books, 500 periodical subscriptions and 18,000 volumes of bound periodicals. Biblical studies and practical theology are the major strengths of its holdings. Subject areas of special interest to Seventh-day Adventists are especially strong, including the biblical books of Daniel and Revelation, creationism, the Sabbath, and the second advent. Together with the Center for Adventist Research, the Seminary Library provides the most complete research collection for Adventist studies anywhere. Graduate level collections on systematic theology, missions, church history and biblical archaeology are also featured. The Seminary Online Learning Center (SOLC) offers a variety of distance education courses at the graduate level. These online courses not only serve students who are enrolled in different Seminary programs on campus and off campus, but support faculty and students who are working at their local churches throughout the states, and around the world, by promoting partnership and creating community to nurture Adventist education. The Seminary partners with the Department of Digital Learning and Instructional Technology (DLiT) which helps in the development, technical support and design of the online courses. students—from freshmen to doctoral candidates—in all schools of the University. The SSC also networks with all other campus support centers and functions as a referral base for students and advisors. The University Center for Reading, Learning and Assessment addresses learning and reading-skill needs through classes and tutoring. It helps students to strengthen their God-given abilities and natural gifts. Academic assessment and tutoring services of the center are available to Andrews students, faculty, staff and community for a fee. Students with learning problems are nurtured towards the goal of successful course work. The Center also offers Orton-Gillingham based, multisensory intervention for those who have dyslexia. Reading skills developed in the center include speed-reading, study reading, vocabulary, word recognition or decoding skills, spelling and handwriting. Students, faculty and staff may use equipment and materials for personal reading improvement on a self-help basis for a fee. Average to excellent readers as well as those having difficulty with reading are served. The center offers a class that covers memory, learning styles, time management, temperament, mind style and emotional condition. A follow-up class includes coordination with advisors, teachers and staff to help the student and provide individualized and small-group support. The Writing Center provides students with individualized instruction by fellow students on basic writing skills and strategies. Services of the center include computer-assisted tutorial sessions, drop-in help and a library of rhetoric and usage texts. The Writing Center also offers occasional review sessions on general writing problems. Andrews University accepts and appreciates diversity in its students, including students with disabilities. Accordingly, students are encouraged to inform the University of any disability by contacting the Student Success Center. Students who are otherwise qualified for college may receive reasonable accommodations for disabilities if they have provided documentation by a qualified, licensed professional. Arrangements for accommodations should be made as early as possible after acceptance, and each semester. Students who suspect that they may have disabilities may also contact Student Success to inquire about the documentation process. More information about disabilities accommodations in college can be found at the government website: www.ed.gov/about/offices/list/ocr/transition.html. The Andrews Community Counseling Center (ACCC) consists of five counseling rooms, a waiting room and receptionist area. The ACCC provides professional counseling and psychological services to children, adolescents, adults, couples and families in the University community and the residents of Michiana at no cost. The center was established as a training facility for master’s and doctoral level students working toward graduate degrees in counseling and counseling psychology at Andrews University. These graduate-student counselors are supervised by faculty who are professional counselors and/or licensed psychologists. Services are provided to individuals regardless of race, gender, age, religious affiliation or culture. To make an appointment to receive these services, call 269-471-6238. Andrews University Airpark is licensed by the State of Michigan as a general utility airport (C-20). Services include flight instruction, maintenance instruction, aviation fuel (100LL), and a full-service aircraft repair center along with hanger and tie-down facilities. Andrews’ air traffic unicom frequency is 122.7. The Andrews University Archives is an independent university-wide entity under the leadership of the Office of the Provost. It functions as one of the entities of the Center for Adventist Research. The Andrews University Archives, formally established in 1999, is the official repository for non-current University administrative records of historical, fiscal, legal, or administrative value. Records held in the Andrews University Archives date from the beginning of the University as Battle Creek College to the present. The Archives include the correspondence of the presidents, vice presidents, and deans; minutes of the Board of Trustees, administrative and faculty committees; and other records of the central administrative offices, student services, the various schools, departments, institutes and other entities of the University. The Archives has established an archival program which includes policies, a manual, retention schedules, guidelines and forms for identifying those records/items which can be destroyed and those which must be kept and properly transferred to the Archives. The goal of the Archives is to standardize procedures for proper record management across campus. The bookstore supplies all textbooks required for classes along with a wide selection of reading material in the general trade book section. School, office, art and drafting supplies are available as well as AU imprinted gifts and clothing. It also features a selection of greeting cards, balloons, gift items and snacks. Andrews University Press is the primary academic publishing house for the Seventh-day Adventist Church. It publishes academic books that make a scholarly and/or professional contribution to their respective fields and are in harmony with the mission of Andrews University. Publication emphases include archaeology, biblical studies, religion and theology, faith and learning, education and selected areas of science. The Center for Youth Evangelism (CYE ) was established in 1979 and is incorporated within Andrews University to support the Seventh-day Adventist Theological Seminary to provide training, research, resources and programing for youth ministry within the North American Division (NAD) and the General Conference (GC) world church. CYE offers “active learning” opportunities for seminarians, interns, youth professionals and local church leaders. The Christian Leadership Center is an interdisciplinary organization of Andrews University providing inspiration, ongoing leadership development, coaching, consultation and research for a network of church and community leadership throughout the world. The Center’s office is located in the Theological Seminary. The Center’s vision is a network of Christian leaders who provide outstanding leadership for church, business and educational organizations throughout the local community and the world. The Center provides a place for academicians and field practitioners to link in a process of theological reflection that shapes the Seventh-day Adventist Church’s understanding of leadership and clarifies transformational leadership development across cultures. The biblically-based model of servant leadership promoted by the Christian Leadership Center grows from that reflection. The Center focuses on transformation of the person, development of essential leadership patterns and formation of administrative skills through various programs offered to community and church organizations. Visit the Center online at www.andrews.edu/clc/. The Office of Employment assists students with their on-campus employment needs. The office provides information regarding employment opportunities, assistance with necessary paperwork, administers employment tests and is responsible for updating employment files. The Howard Center is the performance home for the Andrews University music ensembles: the Symphony Orchestra, Wind Symphony, University Singers, University Chorale, Men’s Chorus and Canta Bella. The Howard Center also hosts Howard Center Presents…a concert series with a blend of musical genres. It has hosted classical artists such as Canadian Brass, Vienna Boys Choir and King’s Singers, as well as Christian artists such as Sandi Patty, Point of Grace, SELAH and Take 6. The on-campus radio station, WAUS FM 90.7, which is also located in the Howard Center, sponsors a chamber music series, Second Sunday Concert Series. In addition, during the school year the Howard Center is home to the monthly Friday evening vesper service Fusion, which merges together all Friday night worship services, creating a dynamic and diverse worship experience. Students studying music at Andrews University also present their junior and senior recitals as a part of their requirements for graduation in the Howard Center. The Howard Center was funded in part by a significant gift from John and Dede Howard, longtime members of the St. Joseph community, who now reside in Holland, Michigan. The Howard Center is an important center of activity on campus. The concert hall offers a variety of concerts and other performances throughout the school year. Visit www. howard.andrews.edu/events for a complete listing of events. Information Technology Services (ITS) provides a variety of services for students, faculty and staff. These services include support of administrative records systems, networking infrastructure, telecommunications and support for students, faculty and staff computer use. Internet access is available on campus for all students, faculty and staff. A wireless network is available in many locations on campus, allowing students, faculty and staff to connect to the Internet with an 802.11 abgn wireless enabled device. Campus residence halls have Ethernet network connections in each room allowing students to connect to the Internet. High speed Internet access is available in the Beechwood, Garland and Maplewood apartments. The ITS Computer Store provides certain hardware and software resources at educational pricing. The Microsoft Office Suite and latest Microsoft operating system are available through a Microsoft Campus License Agreement for the cost of the media. Anti-virus software for Windows-based computers is also available for students, faculty and staff personal use for the cost of the media. ITS also maintains a limited phone assistance service for hardware or software questions. Telecommunications services provided by ITS in residence hall or apartment packages include local phone service with unlimited local calling, caller ID, call waiting and basic CATV service. Premium CATV service is provided for an additional fee. (For more information call 471-3455). A general purpose computer lab is available for use by any student, faculty or staff member. The computing lab, located in Bell Hall, Room 182, may also be reserved for instructional use. The lab contains Microsoft Windows-based systems with a variety of software. Laser printing is available for a fee. Additional computer labs exist in various schools and departments. The Institute for Diversity and Multiculturalism (IDM) fosters understanding and inclusiveness in matters of race, ethnicity, culture, mental and physical abilities, age and gender in several ways. The IDM provides assistance and training through lectures, workshops and seminars for Andrews University administration, faculty, staff and students. It conducts workshops, seminars and conferences on diversity for a variety of other audiences. The Institute provides consultation and training services to businesses, church organizations, law enforcement agencies, human resource professionals and educational entities. The IDM is a resource for the world church in dealing with the increasing multicultural and diverse nature of its membership and its mission. The Faculty Research Forum, a unit within the Institute, researches issues of diversity and multiculturalism and disseminates its findings. LithoTech provides full service in digital color and black and white printing. In addition, LithoTech offers offset printing and bindery services. Brochures, black and white copies, color copies, color posters, church bulletins, resumes, paperback books, newsletters, letterhead and envelopes, business cards and a wide variety of paper are a few of the items that can be provided. The Office of the Ombudspersons is a confidential, independent and neutral dispute resolution service for the University community. As such, it facilitates understanding, communication and resolution of conflict among students, faculty and staff. The office serves as an impartial and confidential means of facilitating dialogue between parties on campus and as a means, apart from formal grievance procedures, of resolving differences. The office was established as part of the University’s Christian commitment to foster a courteous and considerate climate conducive to productivity and well-being for the University community. The Ombudsperson works independently from University administrative offices. Discussing a matter with an ombudsperson is confidential to the extent allowed by law and does not constitute notice to the university. WAUS began broadcasting in January 1971 and now broadcasts 24 hours a day to listeners in southwestern Michigan and northern Indiana. The day-by-day programming, production and student-broadcast training take place in a facility featuring a broadcast studio, a production studio, a music library and staff offices. Station programming includes classical music, news updates and religious programs. WAUS contributes to the local community by being the only 24-hour provider of classical music and arts information, providing student training and employment, and public relations exposure for Andrews University. The Office of Student Insurance provides information regarding student accident and sickness insurance as well as providing a student advocate to help mediate for the student, if necessary. The University School is a coeducational day school located on the Andrews University campus. It consists of two divisions: Ruth Murdoch Elementary School (K–grade 8) and Andrews Academy (grades 9–12). In addition to providing education for young people enrolled in the school, the University School serves as a demonstration school and a laboratory for educational innovation and research. The faculty and administration work with the School of Education in coordinating a teacher-training program. Application for admission to either division of the University School should be made at least four weeks before the student plans to enter. The first semester begins approximately the last week of August. Information on admission may be obtained from the Office of Admissions, Ruth Murdoch Elementary School, 8923 Garland Ave, Berrien Springs MI 49104-0570; or from the Office of Admissions, Andrews Academy, 8833 Garland Ave, Berrien Springs MI 49104-0560.